Terra Rae: “Team Earth” and our Galactic Team are a family of profound Light-workers, extremely dedicated to the clearing, awakening and transformation of Gaia – with everyone and everything upon her – as well as in the Galaxy. While working together as a team, I have seen some of the most profound situations finally become resolved and transformed since 2012. The last year alone has brought forth the clearing of so many dark ideas and situations that were set in place for the planet. A big focus as well, is the putting in place of the new technologies for healing, the use of many new energy possibilities, and new ideas for schools and ways of teaching. The darkness is being removed from the planet and the Galaxy like never before. New Galactic laws are being put in place from the “G-Team” (Galactic Team) and approved by Prime Creator, which are assisting those of Light, and stopping the “Dark Hats” as we prepare for Ascension and “The Welcoming,” or First Contact. We have opened several incredible Portals of Light, and through the eclipses of 2016 we have opened a new Goddess Portal of Light that was hidden until a “Key Holder” came to us for Clearing to the Core. This new Portal of Light will be felt little by little as it blossoms in 2017 and beyond. This incredible event was put in place eons ago for the Magdalenes, and the 144,000 Light-workers, to awaken and become activated even more. All people of the planet will feel the Divine Feminine stirring deeply within, creating great change and awareness, with new support and possibilities for honoring our Grand Lady Gaia. This will come forth, along with well-kept creative endeavors, which will finally be brought forth and manifested safely through co-creating. We have tracked and rescued millions of personal, brilliant Soul Aspects of all of you, and you have been cleared, healed and recalibrated. These are now being brought back to you by the Angelic and Archangelic Realms in your sleep, giving you more fortitude, stamina and brilliance. These may bring forth past-lives to clear, and to home in on for the skills and abilities you once mastered. We will bring forth techniques in 2017 on how to work with it. In the meantime, the Stellar Skulls are always ready to jump in and assist all of you, if you call them in from your heart. Crystalline Stellar Skulls: We are truly able to contribute, awaken and make a difference, as so many of you have done yourselves. We see that groups of individuals, who have chosen to recognize others as their tribe and teammates, will blossom in such a way that you will feel as though your pathway is lit with gold. And it will be so! So this is the best time to prepare for your dreams coming to fruition. Have your plans in place. How will you accept great positive change? As you have been letting go of systems, people and friends that have not been positive or forward-thinking, you will be rewarded. You have been preparing! Your angels are feeling listened to, and they’re jumping up and down. You have been asking for assistance and receiving it. You have been appreciating this blessed life and moving forward, keeping your courage up, holding your head high and maintaining your visions for the New Earth first and foremost. You will truly be rewarded with funds coming forth for your projects, and individuals recognizing your value. You will also feel supported emotionally by your tribe, and you will be able to move forward on all levels – with confidence – and with your chosen family by your sides. This is the reward that you have been waiting for as you have kept your visions alive. So dreaming, and scoping out possibilities – bigger and more grandiose than ever before – is now in order. It is the new order, which is coming. When you ask about whether or not your grass-roots organizations have been helping in the world, you will see so much fruition that you will understand that your goals are being met. You will see, hear and feel that all obstacles are falling away, and you will move forward at a stellar rate. We like to call the Crystalline Skull Portal one that was activated by the Crystalline Stellar Skulls to activate all skulls around the planets. It creates a grid of light that we see connected with all of our energy. So, the Crystalline Beam of Light is being moved through each skull so that individuals can tap into it and amplify their own levels of growth and consciousness. 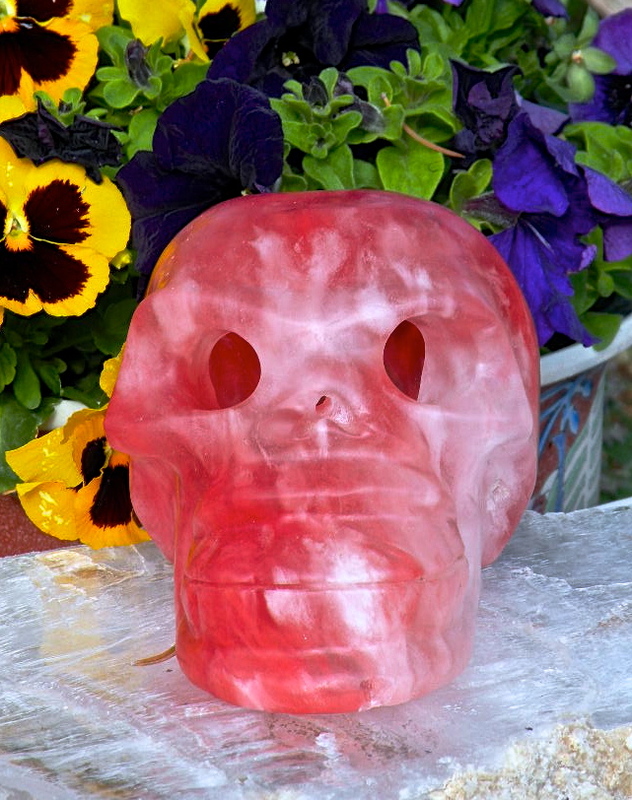 It is not just for those with a carved or natural gem or stone skull of their own – it is for all to receive and use. Our vibrations can come into your heart and activate your intentions, love life, financial fortitude, spiritual awakening and many skills and abilities. As we like to say, “Just do it!” This is the strength of the Crystalline Ray, enhanced by this portal. Interestingly enough, this activation came forth through one person, a spiritual family member, who was passing from this earthly plane, to his next life, shall we say. He held the “Key” to open this doorway after he kept a carved skull within his fifth-dimensional energetic body, all the way from Atlantis, to open this doorway and portal. This was found while he was being “Cleared to the Core!” rather quickly by “Team Earth!” He had no idea that this was one huge task, that it was to be accomplished while he was still on Earth, and that it was found within minutes of his passing! And this individual had always been waiting for a sign of something bigger – something more grand for himself to accomplish – and this was truly it. So there is a lot to be said for being aware of energies not seen, yet which still exist around a being. We notice more people’s developing awareness, and the unseen and energetic healing that will be taking the forefront during this coming year. So keep your third eye peeled! 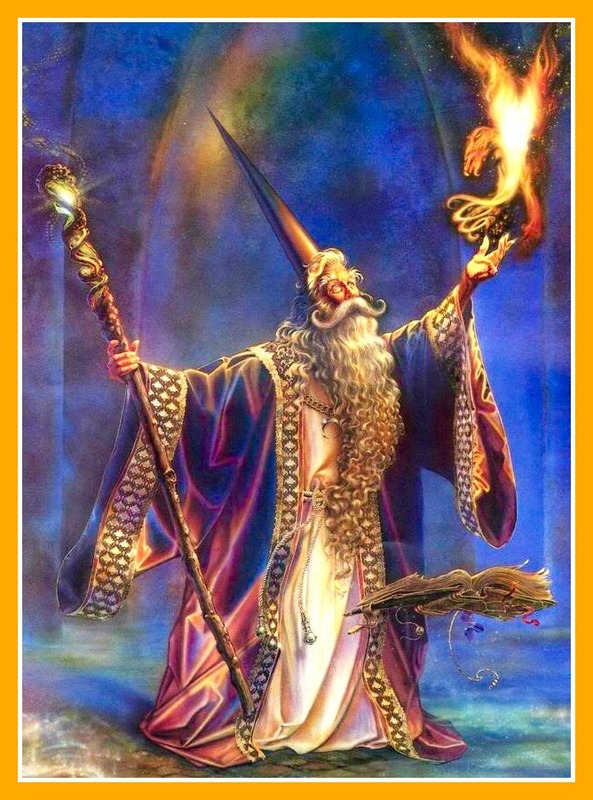 Merlin: And know that you truly are being assisted by the Universe, and that the unseen forces like “Team Earth,” the Archangels, the Galactic Team and the Crystalline Beings are all able to “have your back,” and give you their encouragement energetically, by assisting you in your forward momentum. When we see all th ese hearts banding together, it is unstoppable. So many new thoughts will arise as you create a true magnetic force and allow one another to excel. You will generate incredible thought patterns, some of which have not yet even been imagined! The way this will show up on the planet is through more solutions to problems that exist now. Since the Dark Ages, and since the Renaissance, when certain thought forms were held, these beliefs were placed into the social network as being the true method to hold as absolute. And now, so much of this has been proven to be archaic and not in sync with the general populace. It is truly time to replace the laws and the rules of conduct, with compassionate and compelling guidelines to bring forth the true heart of the planet, and of each continent, each community. It comes down to the passion of the people. It is about moving forward and being able to make room for the new – not just accepting rules because they are now and have for a long time been in place. So with this forward momentum, there will truly be massive changes that are heartfelt and coordinated by the people. This Divine Goddess Portal opens up the planet and the full Galaxy, as well as our Universe, to awaken and open hearts to a brilliant, aware space of love and recognition, honor and light. 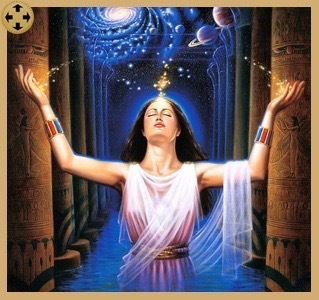 It is more than the Divine Feminine, it is true Goddess energy, flowing and coursing through men, women and Gaia herself, and also the full Archangelic and Galactic Teams of Ascended Masters. This heart-opening energy will bring forth a new capability of listening and hearing, for the first time, for many. It will ignite passion within individuals who have been stagnant, and it will awaken many who have been waiting for a sign to move forward with something held close to their hearts. Even thoughts that have been hidden deep within their past, or in a previous life, can be reignited to once again gain the life that has been needed – moving it forward and sharing with others – to awaken the planet more fully. It will also allow those who have not been truly feeling and caring to spark their own compassion and open their hearts more fully. Others who have been tuning out more and more will listen, and they will be more open for help in releasing the habits that have been keeping them unaware, deadened, and cutting off their life force – and holding back their heart connections. This is a good inkling of what is to come. Talk about magic – voila! I am waving my wand and staff right now. Crystalline Stellar Goddesses: We as a team of Crystalline beings come forth to give you wings. When you have a time of health-related needs, or when you feel financial turmoil, know that help is on the way, truly, when you ask for it. You are a guiding light! We see this, and we want to be a part of your process. So the predictions are that yes, you will be uplifted in a new financial paradigm, as there will be some changes in the decision-making processes as to how the funds come forth. Once again, it will not be to the upper echelon. And there will also be great change for those who are in alignment with the harmony of the plants. The organic growers, the practitioners of herbal medicine and the magic of the oils from the plants themselves will all be supported on a new level. Big Changes abound – and this is thanks to the concerted efforts of all of you! The other true finding is that there are more and more changes that individuals can create for themselves, to heal from their diseases. Many of these have emotional seeds, and releasing so many of the confused cells and memories can revolutionize the body. It is a new level of awareness and allowing, and backtracking, and opening up to the possibilities that the mind can create true functional change. When we see the cells heal and clear through emotional release, we know that these have been guided choices. They can open up to the existence of a past-life and cellular memory that holds on to malformed cells or darkness within, which has been retained for one reason or another. Often the answers, too are within, and they also lie within Gaia’s organic, loving, blessed plants. This is a realization that will be coming forth on a larger scale in this coming year. There will be a true awakening that many will feel. The awakening is happening!